Pathways Academy of Life – Yoga Teachers Training Certification is a Curriculum in the Ancient Art Of Yoga, its tradition, psychology and philosophy. It teaches one how to integrate the age old teachings and modern day life, into a way of being, bringing balance and fulfillment to life. It is non-denominational and open to all. Traditional Yoga Teachers Training was done with small groups to ensure personalized attention and allow people to be in a save space while learning and processing. This tradition lives on at Pathways Country Yoga Retreat. Those that wish to transform their life, awaken and merge with their soul, deepen their knowledge and experience of Yoga, heal themselves and others through the study, knowledge and wisdom of the Ancient Yoga Tradition and have a passion to share this experience. Energy balancing – disease and pranic healing. Jennifer Fitzsimmons is the founder of Pathways Academy of Life and Pathways Country Yoga Retreat based in Kw-Zulu Natal, South Africa where she hosts workshops, yoga retreats and classes. She is the author of her published book Pathway To Wellness. As a qualified Life Coach she specializes in transforming lives in wellness and fulfillment. Jennifer is a qualified and registered Yoga Teacher through Ishta School of Yoga and Health. She is also a qualified Kundalini Yoga Teacher (as taught by Yogi Bhajan) through 3HO and teaches both styles. 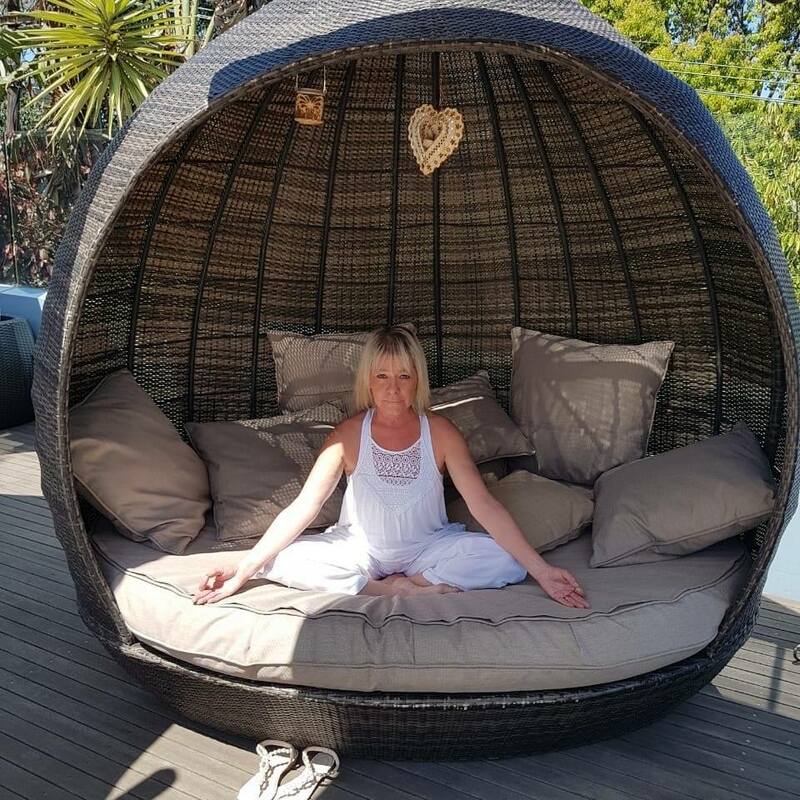 Jennifer is also a full member of The Yoga Teacher Fellowship of Southern Africa, thus the International Yoga Federation; she is also registered with International Kundalini Yoga Teachers Association and 3HO South Africa. She obtained a full distinction, Life Coaching Diploma through The Institute in the UK. Jennifer has been practicing Yoga for 21 years and teaching for 18 years. She has also trained teachers for the last 13 years. Her practices began initially as self healing which lead her to sharing the powerful ancient tradition. To learn more about the teacher’s Yoga lineage click here. It is Jennifer’s intention to coach people life changing techniques to transform their lives. She teaches a way of living, which brings self realization of who they are and what they are capable of. She has completed a collection of Yoga voice guided meditation, relaxation & visualization CD’s and her book Pathways to Wellness. This book is a life changing gift that coaches stress management and emotional balancing to release anger, depression, anxiety, fear and so forth. It includes powerful emotional balancing and stress management techniques. Jennifer’s belief is that the most essential element of any qualification is self experience and a deep passion. This letter serves to confirm that Jennifer Alison Fitzsimmons is a qualified and registered member of the Yoga Teachers’ Fellowship of Southern Africa. We have reviewed and recommend the 200 and 500 hour Yoga Course as taught by Jennifer. The course is comprehensive and adheres to international requirements offering students a practical and theoretic understanding of all limbs of yoga. 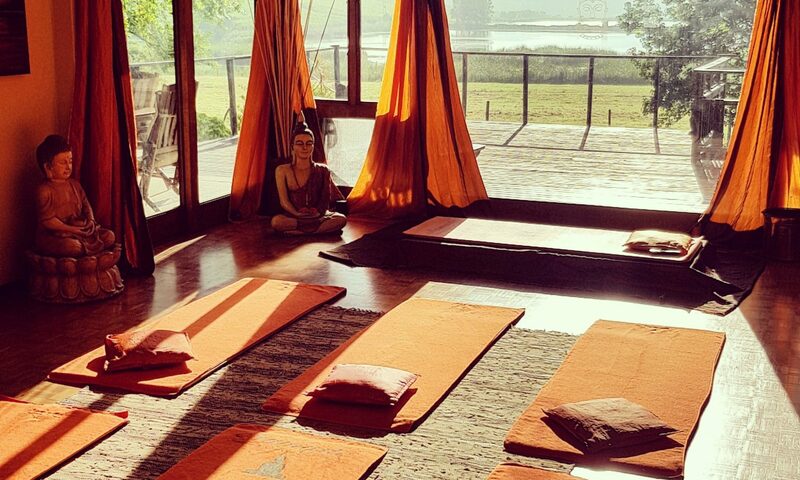 Jennifer Fitzsimmons is the founder of Pathways Country Yoga Retreat based in Kwa-Zulu Natal, South Africa where she hosts workshops, yoga retreats and classes. She is the author of her published book Pathway to Wellness and CD Collection. As a qualified Life Coach she specializes in transforming lives in wellness and success. Jennifer is a qualified and registered Yoga Teacher through Ishta School of Yoga and Health. She is also a qualified Kundalini Yoga Teacher (as taught by Yogi Bhajan) through 3HO and teaches both styles of yoga. Jennifer has been practicing Yoga for 18 years and teaching for 15 years. Ishta info: Kavi Yogaraj Mani Finger formulated the Integral School of Hatha yoga and Tantric Arts in the late 1960s and together with a committee of peers, founded the Yoga Teachers’ Fellowship of SA as a support, protection and recommendation system for yoga in South Africa. YTF and its members are listed by the International Yoga Federation as is the Yoga Alliance. http://www.internationalyogafederation.net/fiyorganizations.html scroll down to Africa then South Africa to go directly to our website. 21 days Live in Yoga Teachers Training Retreat. This training is completed in one module and is an ideal training environment as full yogic lifestyle and practice becomes ones way of living for 21 days creating a new habit. Food and accommodation are included in your training program.